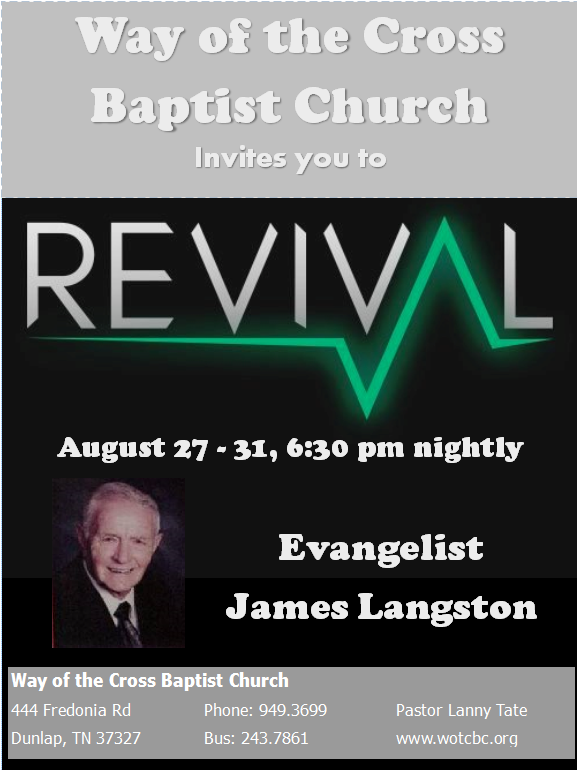 Our annual August Revival with Bro. James Langston is scheduled for Monday, August 27 – Friday, August 31. Services will start at 6:30 pm CDT each night.